Angry Birds 2 has been criticised for pushing gamers to spend actual money on in-app purchases. The game, released last Wednesday, makes players wait to play again once they run out of lives. However, players can pay to get rid of the countdown timer and play again instantly. Players can also buy ‘gems’ which can be spent on powerful spells that make levels easier to clear. The gems can also be purchased using in-game currency, but it has been claimed that this requires hours of play to acquire. While the freemium model, in which gamers download the game for free then pay for extras, is nothing new, Rovio have been criticised for their ‘aggressive’ pushing of in-app purchases. Eurogamer claims that ‘failure is inevitable’ because materials in levels are randomly generated and you don’t always have the right birds to complete a level, stating that ‘Angry Birds 2 seems more interested in making you pay than enjoyable play’. The game has also been criticised for attempting to make players post on social media. Metro, who reiterate many of the criticisms levelled by Eurogamer, claim that the game is ‘…obsessed with you connecting to Facebook’. The original Angry Birds was released in 2009 with a 79p price tag and was a massive hit. 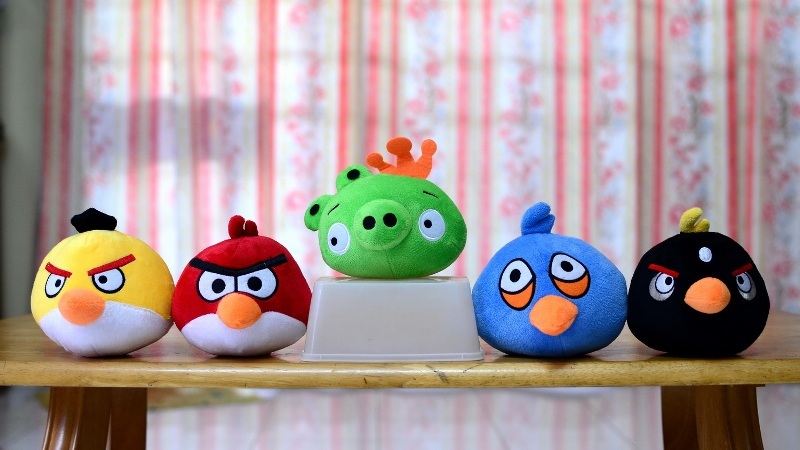 Since then, the Angry Birds games have been downloaded over 1 billion times. Much has changed in the mobile gaming landscape since then, with Rovio’s fellow Finnish developers Supercell reportedly generating over £1 billion in revenue in 2014 from their portfolio of freemium games Clash of Clans, Hay Day and Boom Beach last year. The criticism doesn’t seem to have affected Angry Birds 2’s popularity, with over 10 million downloads since launch and high ratings on both iTunes and Google Play. However, there are no figures on how many people have spent money or uninstalled the game.